A new campaign for Nike, originating from Melbourne agency, Publicis Mojo, is designed to pay tribute to the larger-than-life heroics of Nike personality, Lance Armstrong. 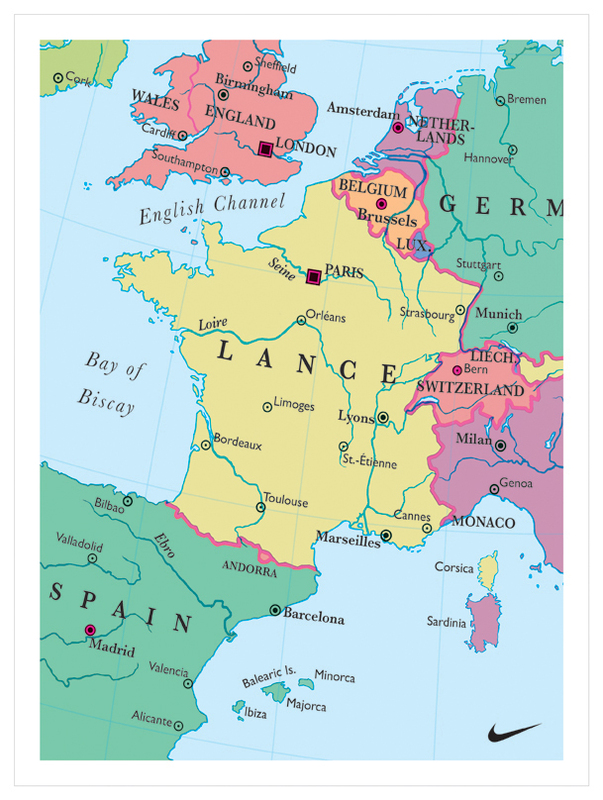 The press and poster work, entitled, "Conqueror," features a close-up glimpse of a classic-style map of Europe,­ only if we look carefully, France has become Lance. The creative team of writer, Paul Bootlis and art director, Tim Forte used an actual cartographer (from Philips Maps in the UK) to make the ad look more authentic and un-ad-like ­ in the tradition of elementary school Atlases. The ad will be featured in cycling magazines, outdoor and point-of-sale.